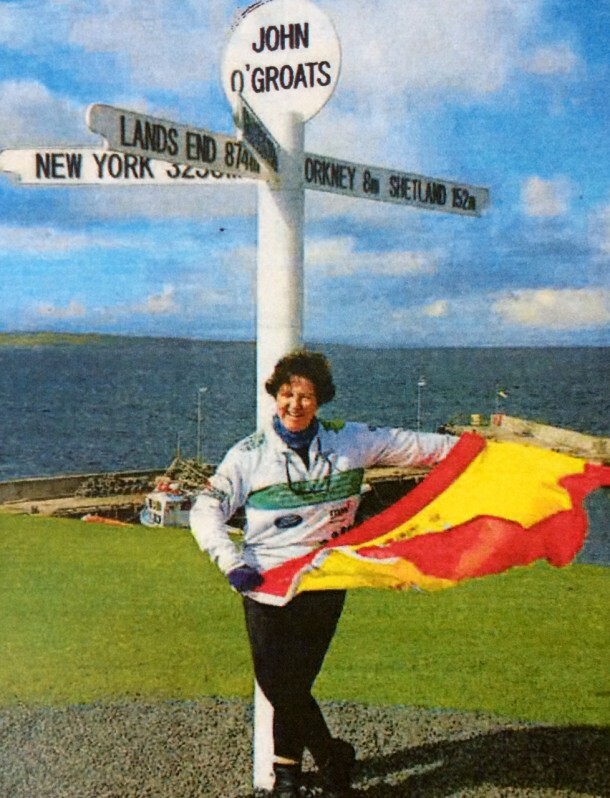 An Armoury gym member and cancer survivor, Spanish-born Nieves La Casta, cycled for 16 days from Land’s End to John O’Groats last month to raise money for a centre supporting children with brain tumours. Ms La Casta trained at The Armoury gym as well as spending numerous hours going up hills in Hampstead and Highgate but admitted that taking on 1400 miles was a huge challenge and that there were points in the ride where she didn’t think she was going to make it! She successfully fought her own year-long battle with lymphoma cancer ten years ago, but took up the challenge after meeting the parents of Joseph Foote who died of a brain tumour aged just nine in 2007. The ride is an annual fundraising challenge for the Children’s Brain Tumour Research Centre at Nottingham University which aims to raise over £750,000.